GAZA CITY (AFP) - A record number of women will take up seats in the Palestinian parliament following January's legislative elections, including the wives and widows of notable political figures. Over the last year, an unprecedented number of women have stepped forward onto the political scene following the parliament's adoption in 2004 of a long-awaited quota system. It guarantees them a greater level of participation in political life at both local and parliamentary levels. Many women have run in the ongoing municipal elections, the first in 28 years. In the first round, which took place in the West Bank a year ago, a record 139 women took part in the ballot and won an impressive 52 seats on local councils -- nearly 17 percent of the total. Similar results have been recorded in subsequent rounds. One of them is Rasha Rantissi, whose husband Abdelaziz Rantissi was assassinated by Israel last year. 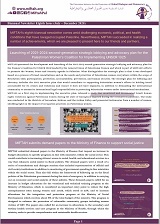 "Women in Hamas have played many roles, particularly in the municipal councils, so why not in the PLC?" Rantissi said to AFP at her home in Gaza City. "We haven't seen the list yet, but all Hamas women are qualified to be on the list and be candidates of the PLC." Sources close to the Islamist radical movement say the wife of senior Hamas official Ismail Haniyeh is also expected to run. "Rasha Rantissi is not running as a woman but as the wife of somebody who was killed by Israel," she told AFP. "She is running on the basis of her husband's legacy. 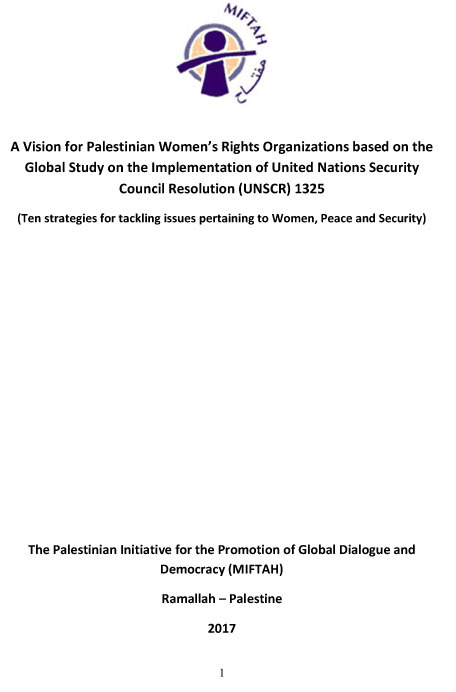 A women's agenda is not part of (Hamas's) discourse." Rantissi is looking to follow in the footsteps of the former minister Intisar al-Wazir, the widow of the PLO deputy leader Abu Jihad who was assassinated in 1988. "We have been fighting since 2002 for a women's quota system of 20 percent of PLC seats, so these elections are very important," Abdel Rahman said. "Women's involvement in politics has definitely increased, but it's not about just having women represented per se, but about having women who can bring a women's agenda to the table." Last week, Fadwa Barghuti, wife of the jailed intifada leader Marwan Barghuti, also announced she would run in this month's local elections. "Before the introduction of the quotas, very few women were involved in politics," she told AFP. Women represent just over 47 percent of the 1.34 million registered voters in the Palestinian territories, and their entry into politics will definitely have an impact on the broader political picture, she said. Although the introduction of a gender quota was a start, women needed the courage to get more involved in politics, Barghuti said.